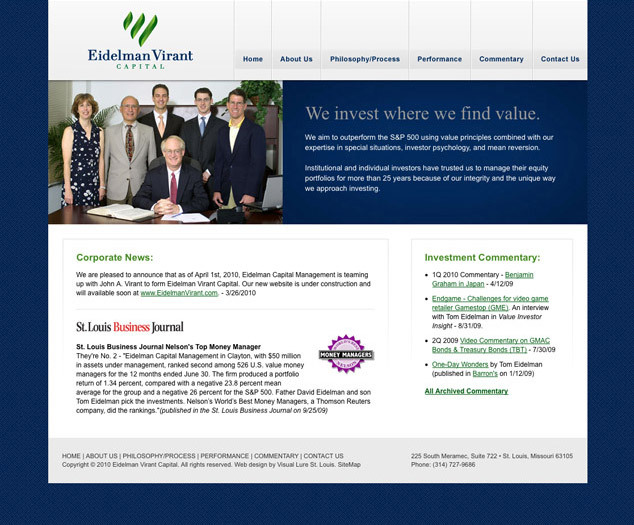 After completing their logo design and their identity package, Eidelman Virant Capital contracted Visual Lure to design their website. It is in the works, but here is a sneak peek at our proposed home page design. We will post a link to the new website once it has launched.